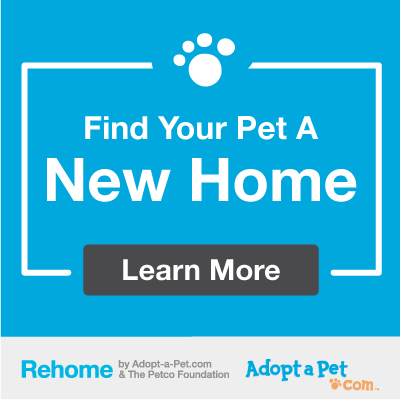 Rehome is great resource to rehome their pets by allowing owners to list their pets online, screen applications of potential adopters, and finalize adoptions - all without having to bring your pet to an animal shelter! At the moment, only those pets who are fixed qualify for this program. Texas ID listing current address in Cedar Hill, DeSoto, or Duncanville OR Proof of current residency (bills, car insurance, etc.) AND valid ID. Any medical records of the pet. Although not required, a pet personality profile for the pet surrendered helps us in finding the right home for your pet. Please consider filling out a personality profile for your pet, and telling us all that you can about them, since you know your pet best. View a dog personality profile (DOC), or a cat personality profile. Though we try our best to find a home or safe place for every animal in our care, we are not able to guarantee that every animal will be adopted or placed. Once a pet has been surrendered to our shelter, they may be placed in adoptions, transferred to a different shelter or rescue group, euthanized, or sent to a foster home. We are not able to disclose the outcome of any animal once they have been surrendered to us. If you are not a resident of Cedar Hill, DeSoto, or Duncanville, then you can surrender your pet at the shelter serving your city. Please contact us at (972) 291-5335 if your city is not listed.